Please take a minute to rate your experience with our Chiropractic. Your feedback and opinion is important to us and can help other potential customers. Please share your positive experience with us on one of these review sites. We strive for 100% customer satisfaction. If we did not meet your expectations, please let us know what did not meet your needs. Super Family-Friendly, Very Patient, Super Polite, Always Smiling, Listens to You, and Really Does Fix Your Problems. I never been to a chiropractic practice like Inner Health Chiropractic East. From the moment you walk in, they greet with a smile and say your name with Ms. or Mr. For a chiropractic to greet you on a level they don't have to greet you on, shows that they truly take their jobs seriously, care about you, and make you feel special and valued. They never make you wait for more than 5 minutes! Just to clarify, THEY NEVER MAKE YOU WAIT, which is super impressive since there is one doctor, who is AMAZING! Dr. Hughes is incredible! Dr.Hughes is probably the best Doctor you could meet. I've watched him hold kids, get down on kids levels, be super patient with moms who have their kids there with them, never get angry or flustered when every table is full of patients, and still smile and ask you how your day was and have a full conversation with you. Most doctors wouldn't do any of that. Having a crying kid with you while you're trying to get adjusted or on rolling table is every mom's nightmare. But Dr.Hughes will make sure the process goes flawlessly for the mom to get adjusted and get all the services they need while holding their kid, entertaining their kid, or making it possible for their kid to be right there with them. 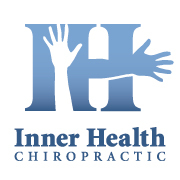 I LOVE Inner Health Chiropractic East! They have a unique atmosphere that is super rare to find! I LOVE THIS OFFICE. DOCTOR AND STAFF ARE EXCELLENT. Not only medically, they are very supportive and try to learn who you are...outside the pain! You are more than just a payment! Dr Wheeler is a good doc. Staff is friendly and this company has intuitive online scheduling options at this location as well as at the other locations. I somehow injured my back coughing during an illness. I could not get out of bed properly, move easily, walk properly or even breath deeply without a stabbing pain. My regular MD's protocol is generally to give me Tramadol or Flexeril. Sure, that kills the pain for 2-3 hours, it just makes me foggy and unable to do my job. Often, expensive X-Rays are tossed in for the fun of it, as well. This time, I elected to take friends' advice and seek chiropractic help rather than going to the MD. It was a good decision. I received an evaluation and x-rays, and came back the next day to discuss the results, and the treatment plan. We established the goals and how many treatments likely needed, and started the adjustments, massage therapy, stability/core exercises and TENS therapy. We scheduled three visits a week. I'd say that this problem was 80% resolved within 3 visits, and the problem no longer exists after my 10th and final visit. I am very pleased about the results achieve without any prescription medication or time consuming therapies. I will continue with maintenance adjustments, and continue the exercises prescribed, in addition to my own exercise schedule, as I do feel it helps with my posture, TMJ, my "mouse arm" and oddly enough, the chronic earache from my allergy issues. Dr. Wheeler and Dr. Coleman, and Kate Edwards LMT were all very good to work with and all provided helpful treatment or exercises to get me back to normal very quickly, without the need for painkillers. The front desk staff always knew my name and quickly got me into the treatment area, no matter what time my appointment that day.